exactly which concepts the ACT is likely to test. the frequency at which it tests those concepts. the contexts in which those concepts are likely to appear. Step 1: Fill in the one page note-taking guides as you digest the dynamic motion graphics videos. Once you see these math concepts illustrated, fuzzy concepts become crystal clear, and you’re ready to move forward with confidence! Step 2: Pay special attention to the conclusion of the math videos. They highlight “How Will This Look on the ACT?” Recognizing topics in the context the ACT is likely to test those topics is the key to acing the ACT math section. Step 3: Practice your new knowledge by working through sets of mini quizzes. Progress-tracking software will check off your accomplishments as you step from novice to ACT-ready. Step 4: Put it all together by acing the timed ACT math finals. 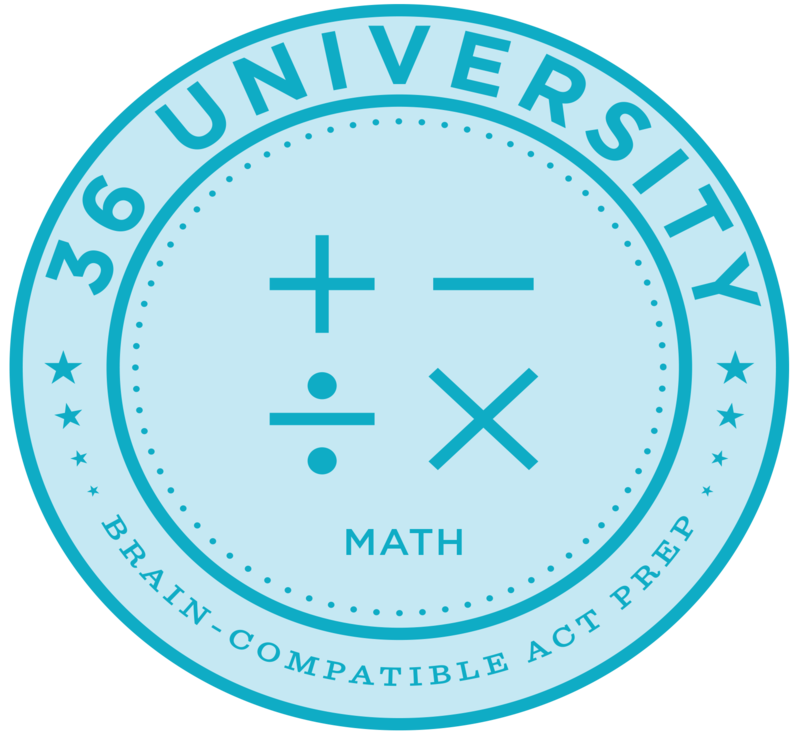 ACT math final quizzes are tiered by difficulty level, so you’ll get practice on the test items that will help you get those next handful of points. See the concepts illustrated. Practice to gauge your readiness and to increase your test-taking speed.